Four stories of apartment homes designed in a modern style. Its centerpiece is a resort-style pool overlooking an adjacent pond, with space to enjoy, play and relax. Enjoy excellent access to Lady Bird Lake by walking down from the pool deck to the park below, giving you opportunities to paddleboard, picnic or canoe your way to relaxation and happiness. 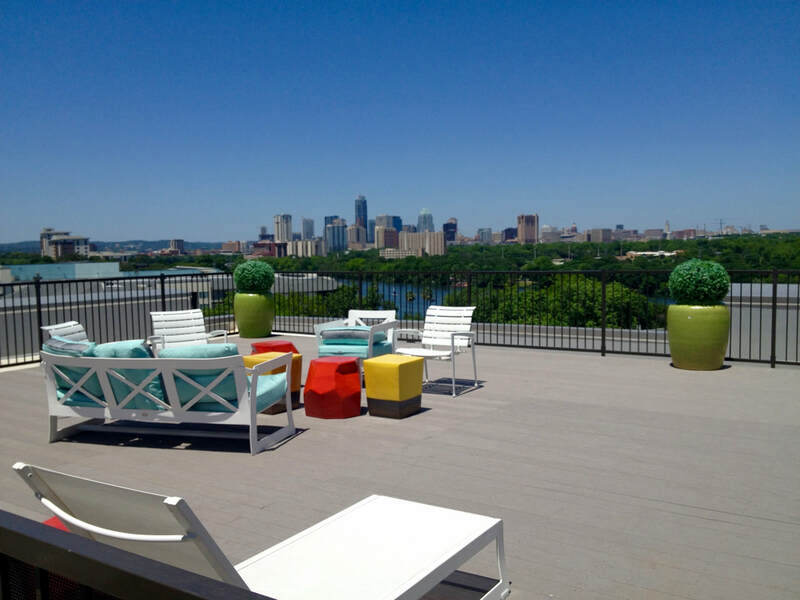 Unbelievable views from your apartment's rooftop deck and from individual balconies ensure that you don't miss nature in all its finest, while experiencing a boutique apartment feel with the convenience and amenities of a much larger community.